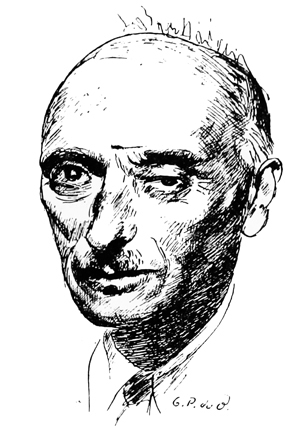 With these words François Mauriac, discussing the novel in the French literary magazine La Table Ronde of August 1949, described his own position. In March 1953, he was interviewed on the same subject for The Paris Review by Jean le Marchand, Secrétaire Générale of La Table Ronde. M. Le Marchand began by asking him about his earlier statement. My opinion hasn’t changed. I believe that my younger fellow novelists are greatly preoccupied with technique. They seem to think a good novel ought to follow certain rules imposed from outside. In fact, however, this preoccupation hampers them and embarrasses them in their creation. The great novelist doesn’t depend on anyone but himself. Proust resembled none of his predecessors and he did not have, he could not have, any successors. The great novelist breaks his mold; he alone can use it. Balzac created the “Balzacian” novel; its style was suitable only for Balzac. There is a close tie between a novelist’s originality in general and the personal quality of his style. A borrowed style is a bad style. American novelists from Faulkner to Hemingway invented a style to express what they wanted to say—and it is a style that can’t be passed on to their followers. You have said that every novelist should invent his style for himself—how would you describe your own? In all the time I have been writing novels I have very seldom asked myself about the technique I was using. When I begin to write I don’t stop and wonder if I am interfering too directly in the story, or if I know too much about my characters, or whether or not I ought to judge them. I write with complete naïveté, spontaneously. I’ve never had any preconceived notion of what I could or could not do. If today I sometimes ask myself these questions it’s because they are asked of me—because they are asked all around me. Really there is no problem of this type whose solution is not found in the completed work, whether good or bad. The preoccupation with these questions is a stumbling block for the French novel. The crisis in French novel-writing that people talk about so much will be solved as soon as our young writers succeed in getting rid of the naïve idea that Joyce, Kafka, and Faulkner hold the Tables of the Law of fictional technique. I’m convinced that a man with the real novelist’s temperament would transcend these taboos, these imaginary rules. All the same, haven’t you ever deliberately made use of definite techniques in novel writing? A novelist spontaneously works out the techniques that fit his own nature. Thus in Thérèse Desqueyroux I used some devices that came from the silent films: lack of preparation, the sudden opening, flashbacks. They were methods that were new and surprising at that time. I simply resorted to the techniques that my instinct suggested to me. My novel Destins [Lines of Life] was likewise composed with an eye to film techniques. When you begin to write, are all the important points of the plot already established? That depends on the novel. In general they aren’t. There is a point of departure, and there are some characters. It often happens that the first characters don’t go any further and, on the other hand, vaguer, more inconsistent characters show new possibilities as the story goes on, and assume a place we hadn’t foreseen. To take an example from one of my plays, Asmodée, I had no idea at the outset how M. Coutûre was going to develop, and how important he was going to become in the play. In writing your novels, has any one problem given you particular trouble? Not yet. Today, however, I cannot remain unaware of the comments made about my work from the standpoint of technique. That’s why the novel I just finished won’t be published this year. I want to look over it again in that light. Have you ever described a situation of which you had no personal experience? That goes without saying—for example, I’ve never poisoned anyone! Certainly a novelist more or less comprehends all his characters; but I have also described situations of which I had no direct experience. How distant in time do you have to be before you can describe your own experiences, or things you have seen? One cannot be a true novelist before one has attained a certain age, and that is why a young author has almost no chance of writing successfully about any other period of his life than his childhood or adolescence. A certain distance in time is absolutely necessary for a novelist, unless he is writing a journal. All my novels take place in the period contemporary with my adolescence and my youth. They are all a “remembrance of things past.” But if Proust’s case helped me to understand my own, it was without any conscious imitation on my part. Do you make notes for future use? When you see something of interest in the course of life do you think, “That will be something I can use”? Never; for the reason I have just given. I don’t observe and I don’t describe; I rediscover. I rediscover the narrow Jansenist world of my devout, unhappy, and introverted childhood. It is as though when I was twenty a door within me had closed forever on that which was going to become the material of my work. To what extent is your writing dominated by sense-perceptions—hearing, sound, and sight? Very largely—the critics have all commented on the importance of the sense of smell in my novels. Before beginning a novel I recreate inside myself its places, its milieu, its colors and smells. I revive within myself the atmosphere of my childhood and my youth—I am my characters and their world. Do you write every day, or only when you feel inspired?